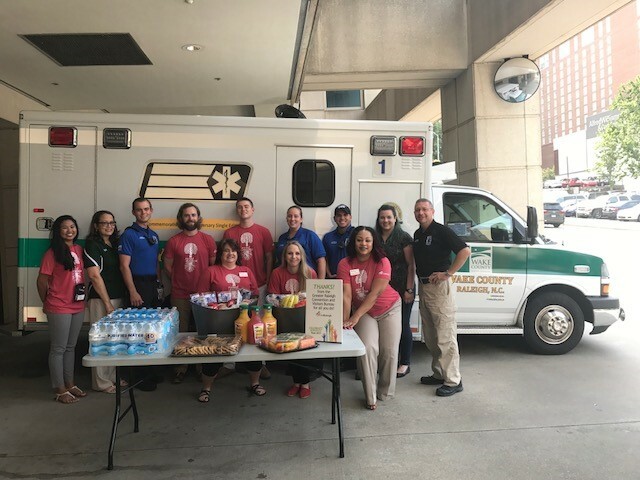 The Greater Raleigh CVB&apos;s Convention Services Department hosted a "Services Gives Back" event, participating in the Event Service Professionals Association&apos;s 2017 National Celebrate Services Week, July 31-Aug. 4. 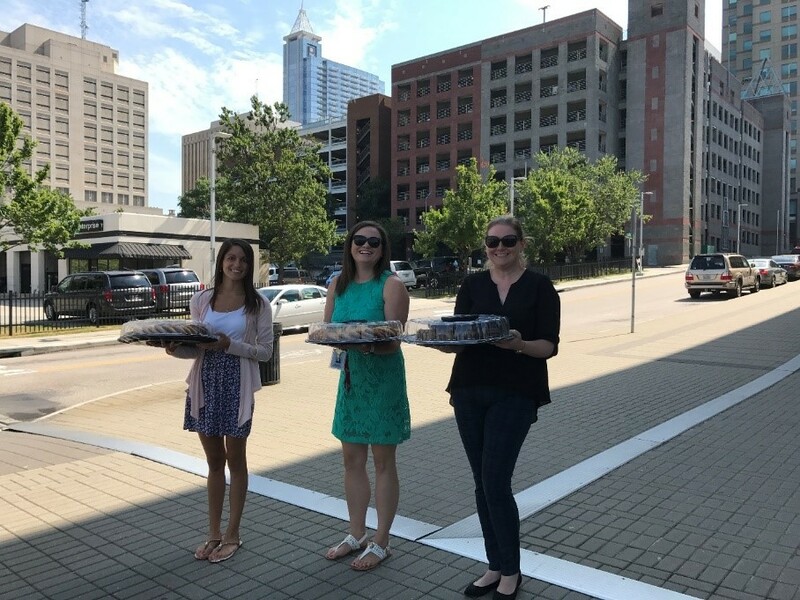 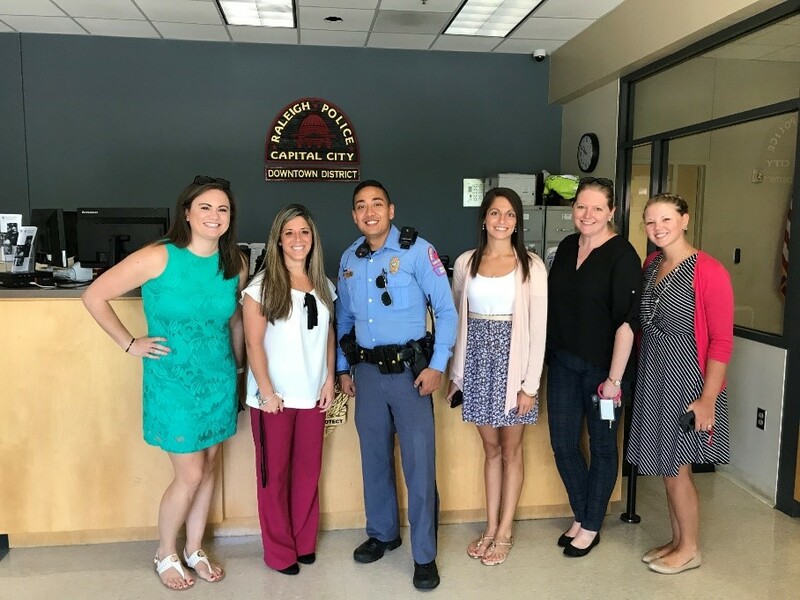 Not only did we celebrate services and the wonderful job convention services and event managers do every day executing great events, but we also wanted to recognize how many opportunities there are to "give back" and how to incorporate them into events in our local communities. 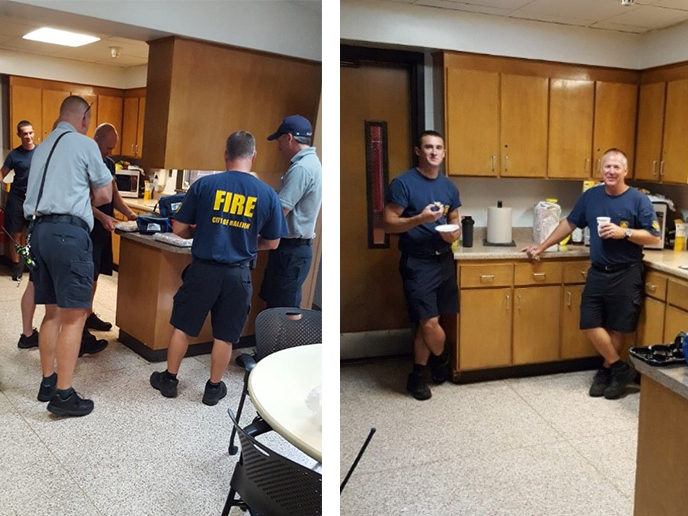 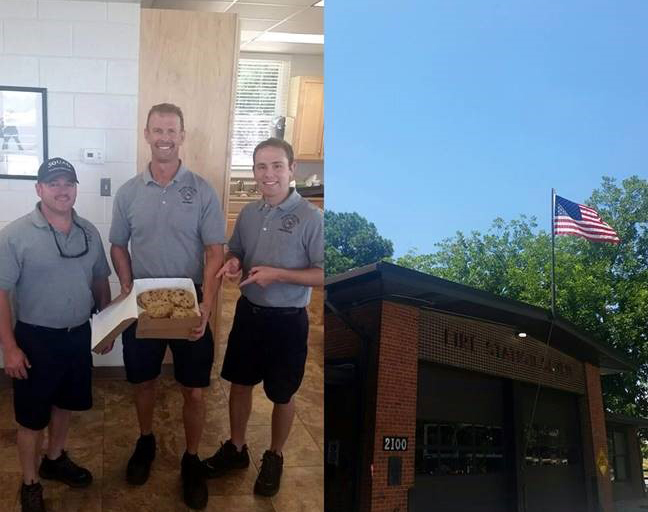 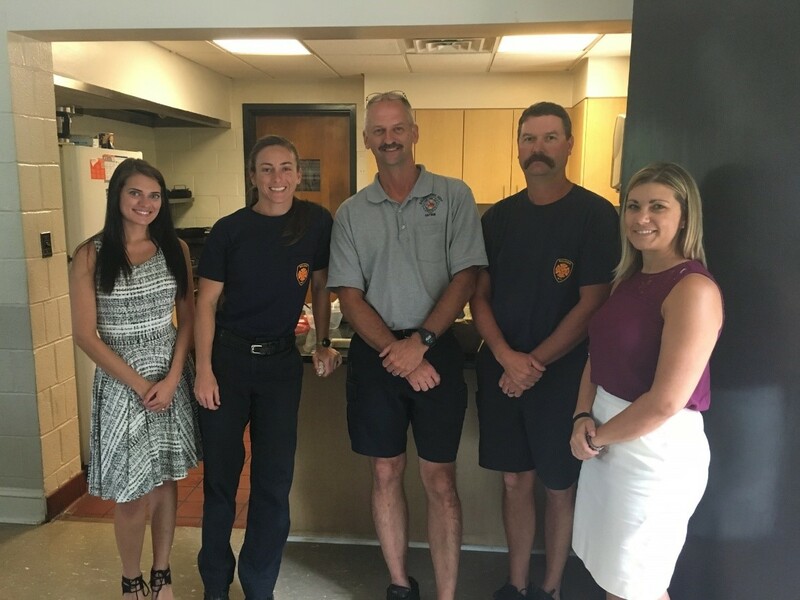 The CVB&apos;s services team chose to thank our area first responders for all the good they do for our community. 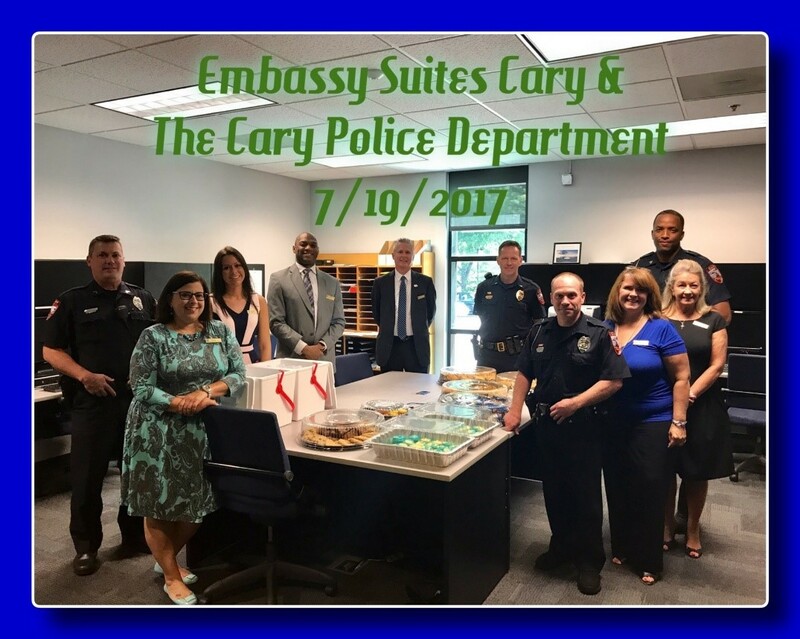 We also asked our hotel and venue partners to join us in doing something nice for local police, fire and EMS personnel. 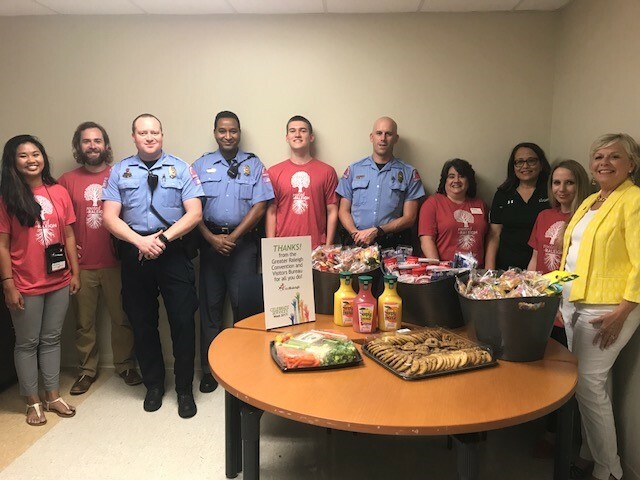 Several partners participated, which resulted in many first responder personnel enjoying the rewards of our program to give back. 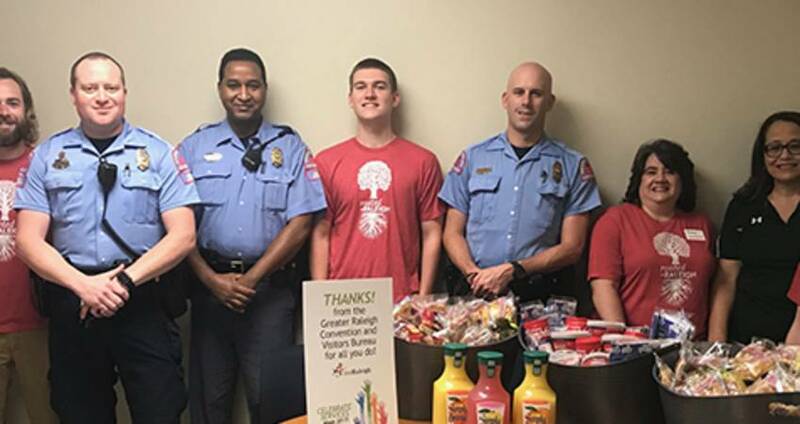 We culminated National Celebrate Services Week by hosting a "thank you" breakfast and relaxation time at the new 10th and Terrace restaurant and lounge at the new Residence Inn Raleigh Downtown. 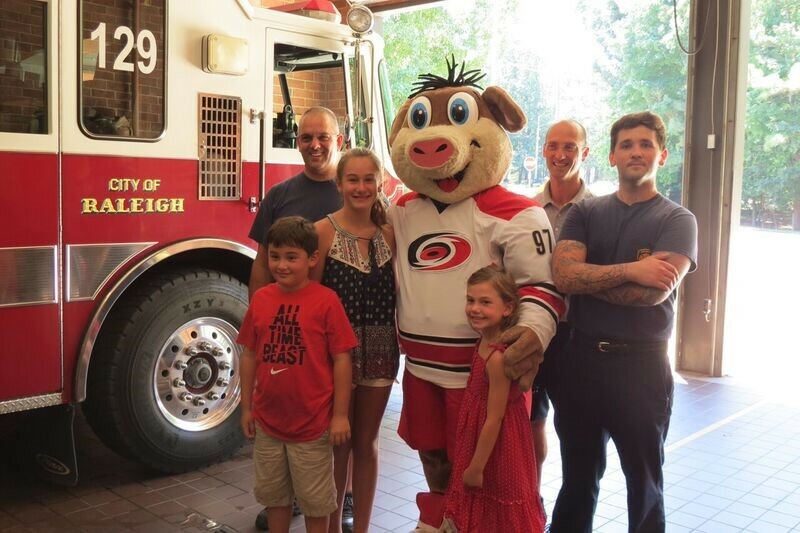 Thanks to all of our first responders, and also to the partners who celebrated with us!